"In the first book he treats of the dignity of Virginity, and states his reason for writing. 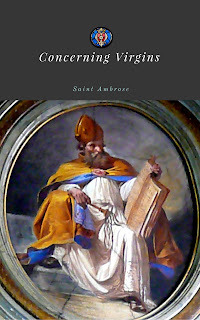 As he commences his addresses on the anniversary of the martyrdom of St. Agnes, he takes her story as the subject of the earlier part of the treatise, and shows how, amongst the Jews, and even amongst the heathen, the grace of virginity was shadowed forth, and eventually proclaimed by the coming of our Lord. In the second book, speaking of the character and manner of life of virgins, he does this, as he says, by adducing examples and instances, preferably to laying down a code of rules.